The DVD to iPad 3 Converter can convert DVD to iPad 3 for you to enjoy DVD movies on your iPad 3. You can save all the popular converted video files to MP4 and other video and audio formats supported by iPad 3 with iPad 3 Video Converter. Besides, you can use this DVD to iPad 3 Suite to convert DVD and video for iPad 3 and other Apple devices, like iPad 2, iPad, iPhone, iPhone 4S, iPod, Apple TV, etc. You can set the output video effect (brightness, contrast, saturation, volume, hue) and add watermark for the video in the form of text or image. Besides, the iPad 3 Converter software can help you specify the video time-length and video play screen with its powerful editing features and select the suitable audio track and subtitle for your iPad 3 video. 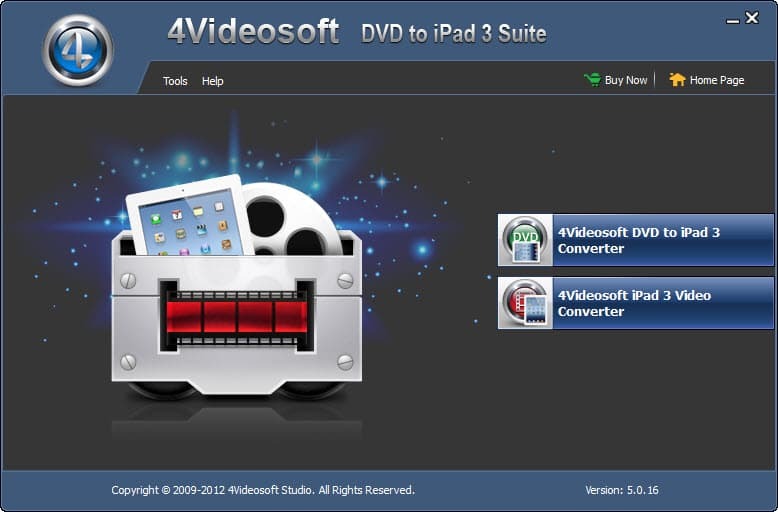 There are Various video and audio parameters provided by 4Videosoft DVD to iPad 3 Suite for you to choose, including Video Encoder, Resolution, Frame Rate, Video Bitrate and Audio Encoder, Sample Rate, Channels, Audio Bitrate.